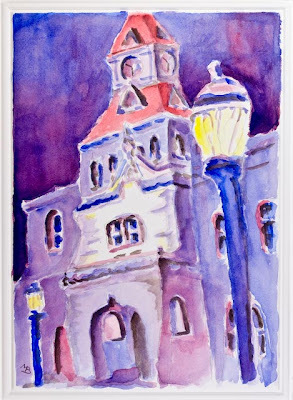 Today I finally made a watercolor of our courthouse. This will be one of a series of paintings/cards representing the historical architecture of Benton County, Oregon. As usual I took some liberties with the perspective, however the basic italian architectural style is still intact. It was built in 1889 and is the oldest in Oregon still serving its original purpose. 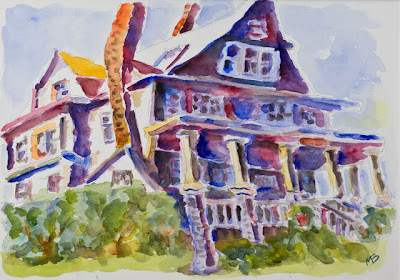 I decided to try the original Disciples House drawing as a watercolor, again in the Charles Reid style. 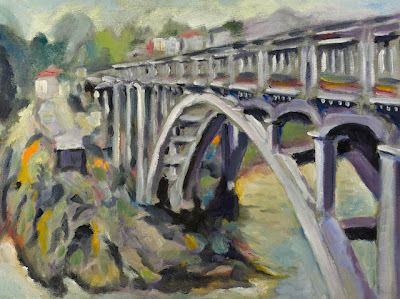 I am continuing my series on Depot Bay with an oil painting of the bridge which crosses the world's shortest river (at least according to people at Depot Bay). 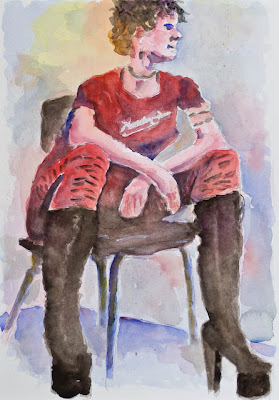 I completed the watercolor version of our model, Laura. I will be doing more watercolor images in the near future in order to perfect this medium. It is definitely faster than oil, however it usually has a mind of its own. 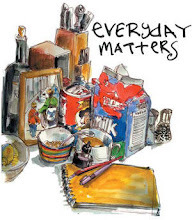 I do like the looseness of the medium. 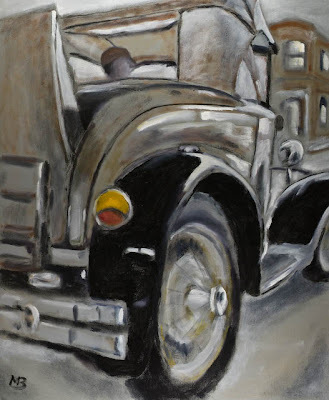 I often have paintings that I feel need further work. These two fell into that category. The 1930 Model A Ford Coupe was actually a preliminary study that I stopped working on and started over on a new canvas using much more color. I like this muted version much better (20X24). 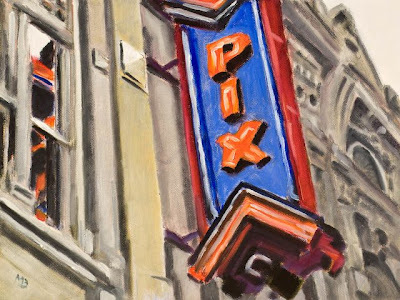 The PIX Theatre was originally done with ink and oil wash. I decided to paint over it in a more traditional oil painting method (9X12).